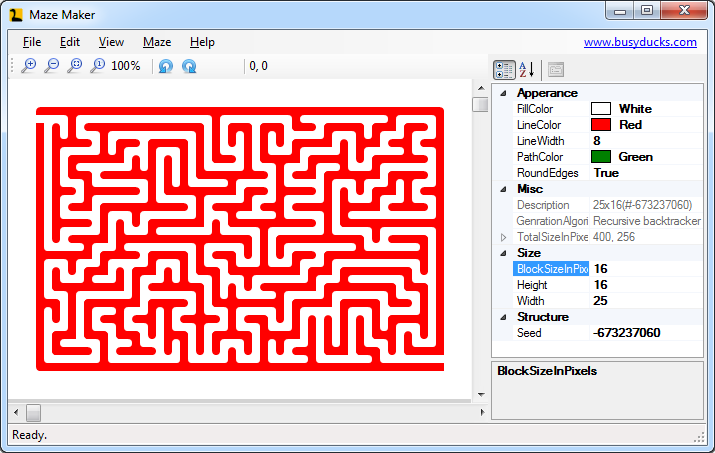 This software creates mazes of different sizes and configurable appearance. It is designed for teachers and makers. It can save the output as printable sheets or bitmap images. This software is provided free to use for all commercial / non-commercial / educational, puzzle publication purposes. You may not sell this software, or offer it for download elsewhere. I super appreciate getting some credit for the work, especially if you are printing a book of puzzles. 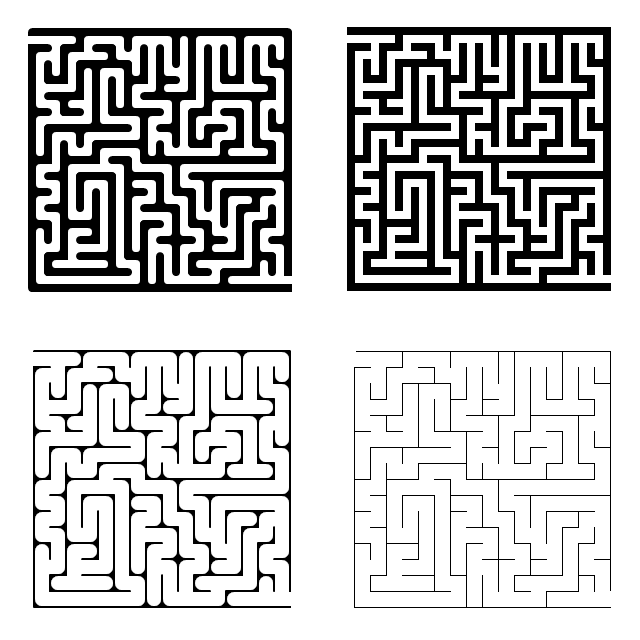 Something like “puzzles created using Maze Maker software, by Dr Warren Creemers”. If you make something cool with it, I would love to see a photo/link. Can it do large mazes, like really large mazes?… YES. Smooth edges when wall width is set to 1 are buggy. Even line widths produce a better output. Zooming in, moving etc (few minor bugs still). Support for DPI / block size. Will probably combine this with other software I have written to create a puzzle creation suite. I have tentatively started working (April 2019) on a online version of this software, to be open sourced.